Integrate to create powerful new solutions. The GSatMicro OEM terminal gives you full control of a telemetry and fleet platform, anywhere on the globe via the Iridium network. 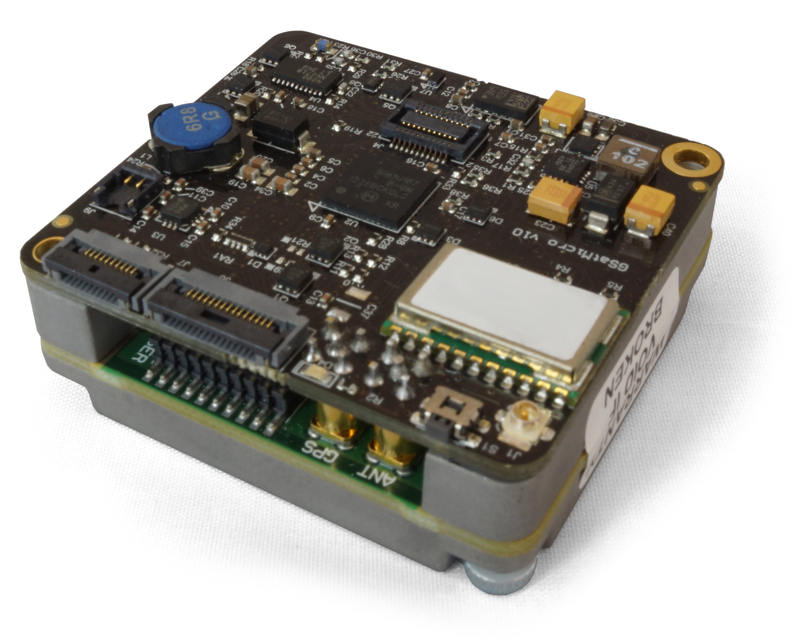 The GSatMicro OEM is an incredibly customizable device which combines telematics and onboard intelligence in a way no other satellite device has before. 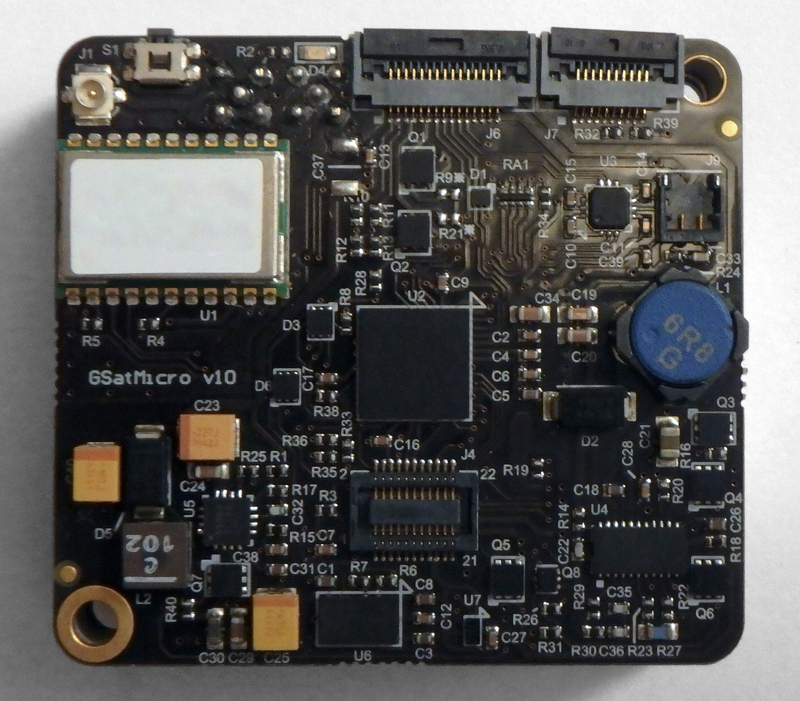 Starting with an engineering challenge to design the smallest possible satellite tracking device, the GSatMicro OEM not only delivers, it includes extremely advanced functionality in an astonishingly small package. The GSatMicro OEM allows the ability to satellite enable unique projects to solve or develop strategic missions. It performs as a completely customizable telemetry device with multiple I/O ports allowing the ability to tie in a host of sensors capable of truly understanding how things are behaving. The GSatMicro OEM board clips directly onto the Iridium 9602 modem providing a platform for developers to integrate into their own projects. Every component of the GSatMicro OEM was designed to fit into a dense vertical stack, providing extremely advanced functionality in an astonishingly small package. It is capable of being fully integrated into a customized form factor designed to meet specialized demands of any project imaginable. This is a self radiating design that is the highest performance antenna and suggested for any human model applications, or applications where the orientation of the unit is not known. Available in an already packaged plastics with an SMA connector or an internal version made to be housed inside another housing. A flat antenna design that is well suited for machine to machine applications or permanently mounted with an external antenna connector. These are typically used for aircraft and vehicles as they are thin and sturdy. These are also available in complete packaged versions with a TNC connector and a bare version to be mounted inside a case. Expand the functionality of the GSatMicro OEM by adding the BLE module which snaps onto the GSatMicro OEM main board. The BLE API is also open for your own development and we have a host of code to jump start your project. Two flex circuit connectors on the GSatMicro OEM provide all of the I/O functionality and can be easily interfaced to with the I/O Board. The I/O Board provides both common connectors and solderable pins for your project. It includes Micro USB, DB9 RS232, DC power, 2 analog inputs, 2 relay outputs, 5 LEDs, and 3 N/O push buttons. The GSatMicro Series is a suite of intelligent, satellite enabled terminals that provide advantageous, global behavior monitoring and management of fixed and mobile assets. Whether managing people, vehicles, aircrafts, vessels or remote installations, the GSatMicro Series terminals provide satellite enabled solutions across multiple industries. It provides an encrypted, secure communications channel around the globe for transmitting and receiving data, and in many cases, survivable communications on demand whether on land, in the air, or at sea. The GSatMicro Series is fully programmable and customizable, allowing the creation and modification of scripts to expose custom behaviors and transmit data in a format dictated by your unique requirements. The ability to execute a customized script allows the GSatMicro Series to perform real-time analysis of data captured out in the field, control other hardware, sensors, or electromechanical components, and perform other vital tasks. The GSatMicro Series utilizes Iridium’s bi-directional SBD (Short Burst Data Service) satellite service to provide visibility and network connectivity with people and equipment anywhere in the world and offers a simple and efficient satellite communications service for transmitting small portions of data between remote assets and a centralized host. Iridium’s SBD service offers low-latency, truly global coverage and near real-time communications capabilities.